Unlike many of the previous decades, the 1960s didn’t see a single, overall style for the majority of the decade. The 60s were a tumultuous time in fashion as they were a tumultuous time in history. People changed what they were wearing significantly from one year to the next. Fashion was also determined by your social or political affiliations. The 1960s seemed to set the standard for how fashion trends would change significantly from year to year. However, a few mainstays in the fashion world took center stage throughout the decade. The 1960s introduced the miniskirt which has since taken the fashion world by storm. To this day, the miniskirt is yet to die out. It merely fades away for a few years, but them comes back with a vengeance. The mini skirt combined with patent leather white go-go boots was the ultimate threat. Historically, women’s fashion was about modesty and propriety. All of those things said their final goodbyes in the 60s. Shorter was better in the 60s. 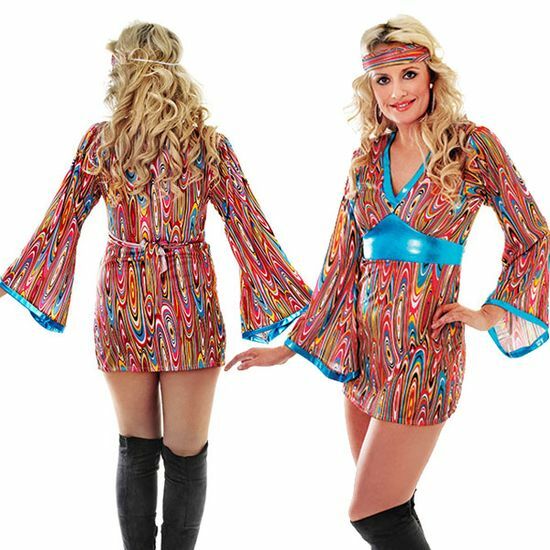 The 60s also welcomed the first of the hippie look with bellbottom jeans and flower girl tops. Hippies wore their hair long with flared jeans in paisley print. Psychedelic prints were all the rage when it came to 60s fashions. These folks couldn’t get enough of their wild textiles and bellbottom pants. Nehru jackets and mod styles also made a cameo during 1960s fashion. However, some classic looks still remained. First Lady Jacqueline Kennedy was a fashion icon during her short lived hay day in the White House. American women looked to her for inspirational timeless looks. The ever popular pillbox hat still remains one of her trademark looks. Most of all, people cared about their causes in the 60s. It was a time when people became open about personal and political issues. Since then, the t-shirt became a means of advertising opinions and causes. To this day, the t-shirt is a great way to advertise events and different ways of thinking. With that, dressing like you’re from the 1960s means adding a little bit of hippie flair to your normal t-shirt look. Pair a t-shirt printed with your own personal thoughts with some bellbottom jeans and you’ll look like you stepped right out of a time machine. But how do you get a shirt that’s printed with your own ideas? Custom t-shirt printing is a perfect way to create your own 1960s style shirts. Custom t-shirt printing services can print anything you can think of on a t-shirt. You‘ll love your personally designed t-shirts so much that you’ll want to share them with all of your friends. After all, it’s time for 60s fashions to make a strong come back.